Imagine an Internet without censorship, an Internet built out of like-minded peers and secure connections. Born out of the r/darknetplan Reddit community's dream of developing a truly free Internet, Project Meshnet may sound like something straight out of a science-fiction novel but it's actually an idea that is slowly coalescing into reality. The idea behind Project Meshnet is almost unexpectedly simple. In fact, there's an introductory video that explains the concept in just a few short minutes. For those interested in a slightly more technical explanation, however, here's a quick rundown: Project Meshnet works because of CJDNS, a routing engine that forwards "packets" to nodes--that is, devices on the network--for further processing instead of asking nodes that have an ID similar to that of the target's. According to the Project Meshnet Wiki, CJDNS was designed "so that every node is equal; there is no hierarchy or edge routing." Sounds a lot like a peer-to-peer network, doesn't it? "Although nodes are identified with IPv6 addresses, cjdns does not depend upon having IPv6. Currently, each node connects to a couple other nodes by manually configuring links over an IPv4 network (The Internet). The ultimate goal is to have every node connected directly by physical means; be it wire, optical cable or radio waves." Funky, huh? It gets better. While still very much in the alpha stages, an experimental network by the name of Hyperboria, a network that apparently bears a resemblance to the "internet of the late 1980s," is already in place and currently supports services like Uppit (a Reddit clone) and even a Minecraft server. 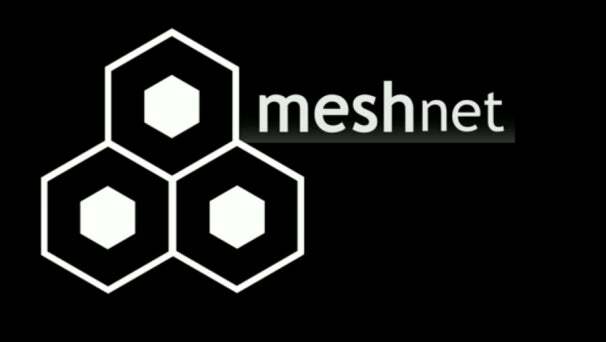 If you want to learn more, you can check out the Project Meshnet site.